We are only six weeks into the season and yet already you, or for that matter Gregor Townsend, could select a handy Scotland XV who are already injured and will be sitting out the autumn internationals. They would include some big hitters such as Stuart Hogg, Zander Fagerson and the unfortunate Duncan Taylor whose luck is so rotten at the moment that there will be a bun fight to grab the next lottery ticket he discards. Scotland have a quartet of Test matches coming up next month and at least Townsend has options behind Fagerson – the fit again WP Nel and Simon Berghan, although the latter is playing well within himself if you hark back to last year’s Six Nations win over France when the Kiwi prop was the best player on the pitch. Elsewhere the national coach is not so fortunate, especially when it comes to the midfield, although the loss of Mark Bennett and Taylor is somewhat ameliorated by the return to form of Huw Jones, who has looked like his old self in recent weeks in Glasgow colours. If they go well today against Saracens, there is every chance that he will partner Alex Dunbar and Adam Hastings in an all-Warriors midfield against Wales because Finn Russell will not be released by Racing for the opening match against Wales in Cardiff on 3 November as it falls outside the agreed Test window. On current form Peter Horne alone, the hero of the Calcutta Cup win, wouldn’t come close to the Scotland squad, but he is an old favourite of Townsend and may yet make the cut on his versatility. The breakaway unit is Townsend’s biggest headache, especially given the long-term injury to John Barclay because very few alternatives bring his intelligence or his vast experience to the task. Provided he is fit, Hamish Watson looks a shoo-in for the seven shirt but with four Tests in as many weeks, Townsend may want to protect his openside and give either Jamie Ritchie or Blair Cowan a kick at the ball, probably for the second game against Fiji at Murrayfield. Scotland don’t have an international No.8 to rank with the best in the business. Ryan Wilson does the job but he is more of a six. David Denton has the physical and athletic presence but his reading of the game is at kindergarten level. Even presuming Josh Strauss has served his time in purdah for his part in the shock defeat by Fiji during the 2017 summer tour, the big Saffa has started only two of Sale Sharks’ six matches this season. Matt Fagerson has the rugby intelligence but not, or not yet, the physical presence to compete at Test level. There are a couple of obvious solutions that Townsend can look to. The first is to add Newcastle’s Gary Graham to his autumn squad. The son of former Scotland prop George Graham was named in one of Eddie Jones’ England squads in January of this year, but has yet to be selected for a Test match so remains available to Scotland and Townsend. If the coach can swallow his pride and the player can swallow his “I’d really like to play for England” quotes, Graham would add significantly to the competition for places at six and seven. Dad George won 25 caps for Scotland back in the day and Gary was born in Stirling but raised mostly in Carlisle. There is the lingering suspicion that Jones picked him (and Gloucester’s Scotland age grade scrum-half Ben Vellacott) as much to annoy Murrayfield/Townsend than with any serious intention of playing either on a regular basis. The other “gimme” staring Townsend in the face is Blade Thomson, a 27-year-old Scottish-qualified Kiwi who stands 6ft 6in and weighs 17 stones and only moved to the Scarlets this season after reportedly turning down an approach from Dave Rennie at Glasgow. He was a four-time Maori All Black, he played for New Zealand Under-20s and turned out for the Hurricanes in Super Rugby. He is equally happy sporting the four, six or eight jersey but it is in the latter role that Scotland need him most. 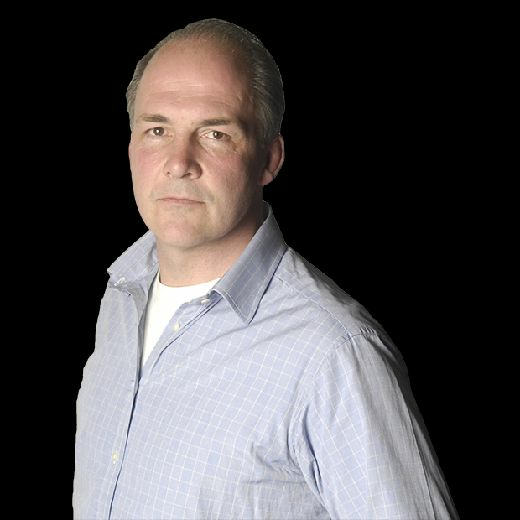 On his Scottish qualification thanks to father Robert, he admitted to BBC Wales when he arrived, “I’d be lying if I said I hadn’t thought about it”. Thomson is rangy, athletic and boasts the softest hands, just the sort of intelligent, distributing No.8 that Townsend wants/needs. He was said to be challenging Kieran Read for the All Blacks’ starting jersey a few years back before major surgery on his shoulder set him back after suffering multiple dislocations. At 27 his best years are ahead of him, providing the shoulder holds out. 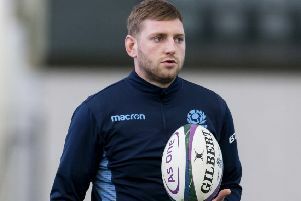 Like all other foreign-based players, Thomson would presumably be unavailable for that opening Test against Wales due to the aforementioned issue with the date. The two teams are competing for the Doddie Weir Cup and it is tricky throwing brickbats at anything done in the name of charity, but it is worth clarifying a couple of issues. The match facilitates raising money for Big Dod’s admirable charity by way of a half-time message and donation buckets etc, but neither the WRU nor Scottish Rugby is making a donation to the charity. This match is a money-making venture which was probably sparked into existence by the fact that RBS used to pay £15 million per annum to sponsor the Six Nations and now that sum has reportedly fallen to around the £6m for this year’s tournament. Scottish Rugby refused to deny or confirm that WRU would pay them to appear in Cardiff never mind the sum. So much for the new era of transparency, but it does not seem likely that the Scots would play four bruising Tests in four weeks, one of which falls outside the international window, for the air miles alone. That is worth remembering the next time you hear SRU chief Mark Dodson or anyone else from Murrayfield chuntering on about their commitment to player welfare.